Being lovers of OSHO, who brought a new spiritual approach to life, encouraging to live fully and enjoy every moment of it in all levels, we try to make this place as pleasant and cozy as possible with: Regular rooms and wood huts all with air-conditioning, a pool, a healthy and delicious vegetarian kitchen lawns and gardens, camping grounds with showers and toilets. 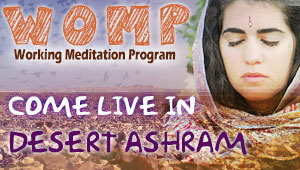 Our prices include overnight sleep, 3 meals a day and the daily meditations. The weekends are Thursday night and Friday night on which the rates are higher. We have: Camping (your own tent), a bed in a shared room, a bed in a double room for a couple, a bed in a double room for a single. You can also try our WOMP residential program. Please, contact us before you are heading here. We would be happy to assist you on the phone or on Email.